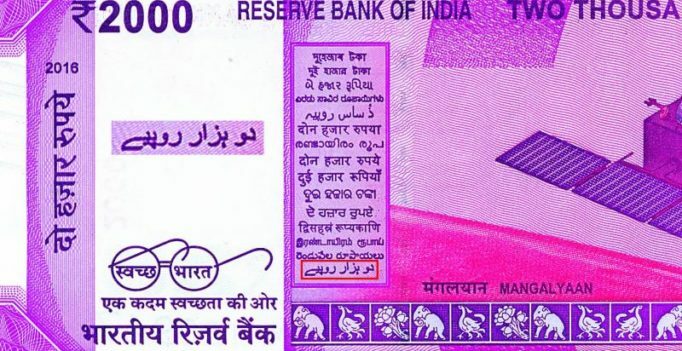 Hyderabad: The newly-launched Rs 2,000 currency note is said to have two spelling mistakes in the Urdu lettering. The writing reads “Lo Bazaar Rupye” (take the rupees to the market) instead of ‘do hazaar rupye’, Moulana Syed Ghulam Samdani Ali Pasha said. He heads the Seerat-un-Nabi Academy. He said the first word ‘do’ (two) had been written in such a way that it is read as ‘lo’. “They joined the alphabets ‘dal’ and ‘vau’ so instead of ‘dal’ it appears ‘lam’. The entire word, and the meaning, change to ‘lo’ instead of ‘do’” Moulana Ali Pasha said. “The second word ‘hazaar’ (thousand) has a dot underneath the ‘ha’, so it is read as ‘bay’, making the word ‘bazaar’ instead of hazaar’, he said. Moulana Afzal Barkati, principal, Madarasa-e-Bar-katiya, said that the dot in the second word may be a ‘shosha’ of the ‘ha’, and not a dot. The mistake in the first word is too glaring to be excused, he said. 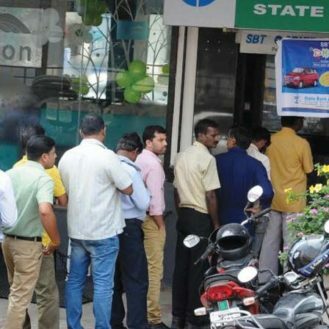 The spelling mistakes on the new Rs 2,000 note have created a buzz on social media, with messages poking fun at the RBI and the Centre being forwarded from one phone to the other.